More than 100 million Americans suffer from a chronic pain condition – as many as 1.5 billion people worldwide, and countless others struggle with feeling anxious, unhappy, and stuck in unhealthy patterns – but one psychologist and integrative medicine expert believes people can take control of their well-being by using natural techniques to craft a balanced health plan. 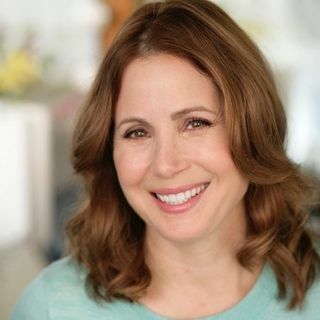 “So many people can live a happier, fuller life, but they need to become aware of the tools out there to help them feel ... See More better physically, spiritually and emotionally,” said Traci Stein, PhD, MPH, a New York-based licensed clinical psychologist in private practice and an adjunct professor at Teachers College, Columbia University. Dr. Stein, who penned the award-winning book from Adams Media, The Everything Guide to Integrative Pain Management, has a prescription for not only pain management, but an empowering approach to achieving maximum well-being. Dr. Stein is a health psychologist who is certified in clinical hypnosis, a PsychologyToday.com expert on integrative medicine, an adjunct professor at both Teachers College, Columbia University, and at the Spirituality Mind Body Institute at Columbia, the complementary and alternative medicine (CAM) topic expert at GoodTherapy.org, and the former director of Integrative Medicine in the Department of Surgery at Columbia University Medical Center. She has developed eleven affirming self-hypnosis and meditation audio programs on topics that include developing a healthy body image, self-esteem improvement, mindfulness meditation, how to create positive change, conquering procrastination, and more. Her newest audio programs, “Guided Imagery for Developing Your Intuition,” and “Guided Meditation for Letting Go of Unhealthy Relationships” will be released in mid-December 2017. Dr. Stein also has studied intuitive development for nearly two decades and can discuss how to help people tap into their own intuitive guidance to make better decisions and enhance feelings of spiritual connectedness and personal meaning. “Most people have an aspect of themselves that is far wiser, and infinitely more self-compassionate, than they realize. We can access this inner sage more readily via regular meditation, prayer, or guided imagery. Our intuitive guidance can help us know when we are on the right track regarding relationships, career paths, and can help us make better personal health choices. Paying attention to one’s intuition can also help therapists be more attuned and helpful to their patients.